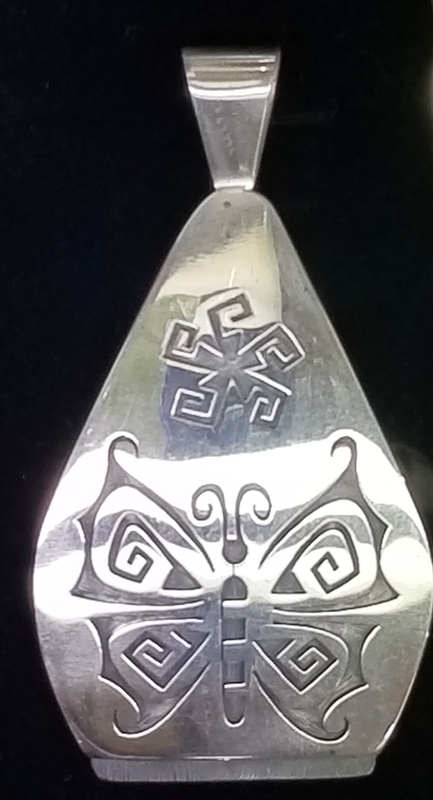 Hopi BUTTERFLY Augustine Mowa Jr Pendant. This is a symbol of growth and changes for the women in the Hopi villages. Much like metamorphosis from a Caterpillar to a butterfly. Augustine Mowa Jr carries on this tradition today. The whirling winds above the butterfly carry the pollen! 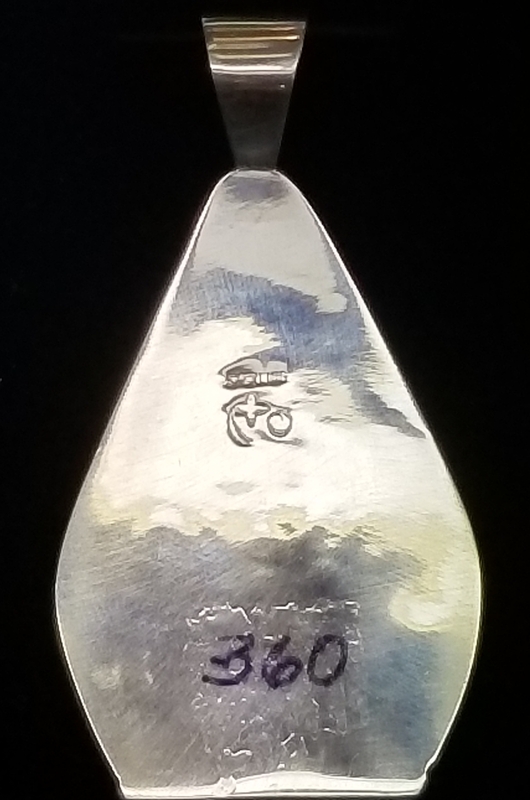 Hopi BUTTERFLY Augustine Mowa Jr Pendant. The butterfly by Augustine Mowa Jr. is a Hopi overlay symbol, showing the changes as we grow. This is meaningful to Hopi women in the village.